Access control: Christina Dryden, nursing junior, swipes her MavID card at the entrance of the Central Library. The card swipe system is credited with reducing thefts at the library. The Central Library has seen a 64 percent reduction in thefts since implementing a card swipe system in September. The system requires everyone entering or leaving the building to swipe their UT Arlington ID card at entrances and exits. Guests who are not students, faculty, or staff can use other types of photo ID. Eleven thefts were reported in September, October, and November 2013. Only four thefts occurred during the same months this year. "I am delighted to see these numbers," says Rebecca Bichel, dean of the UT Arlington Libraries. "The decline in thefts affirms our belief that installation of the card-swipe system would increase safety for library users and staff, their property, and library property." Starting in January, visitors must show their MavID when entering the Architecture and Fine Arts Library in the Architecture Building and the Science and Engineering Library in Nedderman Hall. 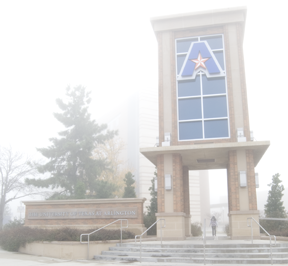 UT Arlington has been named to the 2014 President’s Higher Education Community Service Honor Roll. The honor roll, which includes 800 schools, is the federal government’s top award for community service in higher education and includes four categories of recognition: general community service, interfaith community service, economic opportunity, and education. 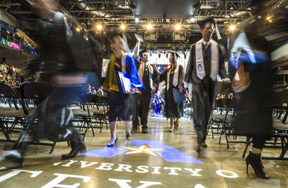 Between July 2012-13, UT Arlington faculty, staff, and students contributed more than 680,000 hours to the community. Read more about the community service award. 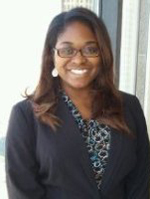 Attorney Amber White has been hired as the new director of the Pre-Law and Legal Studies Center. She joins UT Arlington in January. White has served at law firms with the U.S. government and as a sole practitioner. Most recently, she served as an account executive at Robert Half Legal, a company that specializes in the placement of highly skilled attorneys, paralegals, litigation support, and legal support professionals. In her new position, she will work closely with academic advisers from every college and academic unit at UT Arlington as well as law school admissions directors and attorneys. Read more about White and the Pre-Law and Legal Studies Center. Four candidates for vice president for research will meet with administrators, faculty, staff, and students through Thursday, Dec. 18. The meetings will be 2:30-3:15 p.m. in Room 228 of the Engineering Research Building. Visit the Senior Leadership Searches webpage to learn more about the search for the vice president for research, as details become available. • J.D. Wetsel Service Center, 1225 W. Mitchell St., and the Maverick Stadium lot. Make arrangements to vacate the buildings and parking lots in advance of the closings. New graduates moved quickly from students to alumni last week when more than 4,000 degrees were conferred during Commencement ceremonies at College Park Center. Almost half of the undergraduate degrees—2,895 for fall and 1,026 for summer—were from the College of Nursing and Health Innovation. Graduate degrees totaled 1,158 from the fall semester and 651 completed in the summer term. See more photos. The P.O.D. Market in the E.H. Hereford University Center is open 7:30 a.m.-4 p.m. through Thursday, Dec. 18, and 7:30 a.m.-2 p.m. Friday, Dec. 19. The market is closed Saturday, Dec. 20-Sunday, Jan. 4. Hours are 7:30 a.m.-4 p.m. Mondays-Thursdays, Jan. 5-19, and 7:30 a.m.-2 p.m. Fridays, Jan. 9 and 16. The E.H. Hereford University Center is open 7 a.m.-5:30 p.m. through Monday, Dec. 22. Winter break closure is Tuesday, Dec. 23-Sunday, Jan. 4. Hours are 7 a.m.-5:30 p.m. Monday-Thursday, Jan. 5-8, and 7 a.m.-8 p.m. Friday-Thursday, Jan. 9-15. The Central Library is closed Wednesday-Thursday, Dec. 24-25, and Thursday-Saturday, Jan. 1-3. Check the hours for the Central Library, Architecture and Fine Arts Library, Science and Engineering Library, and electronic libraries. The Maverick Activities Center has its winter break schedule online. The P.O.D. Market in the E.H. Hereford University Center now offers a variety of hot food options. Hot sandwiches, sliders, mac and cheese, tater tots, quesadillas, and fried chicken are on the menu. Check out the Dining Services website for hours during the winter break. Renew your locker at the Maverick Activities Center by Monday, Jan. 5, to save the space for the spring semester. If you choose not to renew, please clean out the locker by that date. 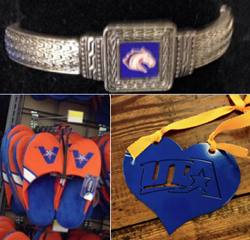 Several local retailers carry UT Arlington logo items that may be the perfect gifts for the Mavericks in your life. WalMart on South Cooper has cozy slippers and cold-weather scarves emblazoned with Blaze. Target on South Cooper has UT Arlington T-shirts. Costco on Arbrook has embroidered hoodies. Anything Goes on West Park Row has UTA gift items including jewelry, cups, and home decor. The UTA Bookstore has the most Maverick spirit with a complete line of apparel, gift items, and supplies. Visit Wear Your Maverick Pride on Facebook to stay up to date on the latest Maverick merchandise trends. Watch your budget this holiday season by taking advantage of the Maverick Discount Program. Show your Maverick ID to local business participants or use a unique UT Arlington discount code to shop online. Participating businesses provide a minimum 10 percent discount. The UTA Bookstore is hiring temporary workers. Retail or cashiering experience is preferred. You’ll be eligible for discounts on textbooks, clothing, and gifts. Apply at follett.com. A lone student walking into the mist creates a dream-like image on a foggy morning last week. Student employees can avoid a trip to the University during their holiday break by signing up for direct deposit by today, Tuesday, Dec. 16. The next monthly payday is Friday, Jan. 2, when the University will be closed for winter break. To accommodate employees who pick up their paychecks, Payroll Services will be open 8 a.m.-noon Friday, Jan. 2. All other payroll business or any payment issues will be handled when University offices open Monday, Jan. 5. Email payroll@uta.edu for details. Submit nominations at uta.edu/outstandingadvisor by Jan. 26, 2015. For 25 years, UT Arlington has recognized academic advisers who have made a difference in the lives of their students. Many advisers have been recognized nationally by the National Academic Advising Association for their commitment to helping students succeed. For information, contact Delene Remmers at 817-272-2737. The UT Arlington Police Department is one of 20 universities or communities to receive the National Night Out Award. The award in the neighborhood/communities category included seven winners from Texas. The awards are presented annually to honor individuals, organizations, or programs for outstanding participation, leadership, or assistance during the National Night Out campaign. The award recognizes exceptional or innovative accomplishments. The city of Arlington also was honored for its National Night Out activities. 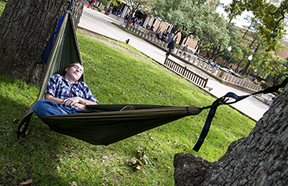 Jacob Daniell, history freshman, enjoyed some beautiful fall weather last month on the library mall. TrailBlazer wasn't able to share his relaxing moment until now. Health Services has received renewed accreditation from the Accreditation Association for Ambulatory Health Care. At the time of its first accreditation in 2011, Health Services was one of nine accredited student health centers in Texas. That list has grown to 15. Health Services continues to lead in college health by serving as a resource to other student health centers in the state and across the country seeking consultation in preparation for their first accreditation review. Accreditation is an external, independent review of a health care delivery organization against nationally accepted standards and its own policies, procedures, processes, and outcomes. Read more about the Health Services’ accreditation. Mavericks of the Month for fall were honored for exemplifying The Maverick Way. Student winners were Jarryd Willis, psychology doctoral student, September; Christopher Woolen, kinesiology senior, October; and Vijay Thakkar, health care administration graduate student, November. To nominate a student or faculty/staff member, go to the Maverick of the Month website. The Shorthorn won several awards given by the Associated Collegiate Press and the College Media Association. In the CMA’s Pinnacle Awards, the student newspaper won first-place awards for online ad and social media presence. Second-place awards went to The Shorthorn for rate card/media kit, online infographic design, and newspaper news page design. Third-place awards were for newspaper opinion page design, editorial illustration, and social media strategy. For the ACP’s Best of Show awards, the paper won first place for website in the large school category and placed in the top 10 for weekly broadsheet and special edition. Individual awards included second place for rate card by Skye Leung and third place for house ad by the staff. Today's TrailBlazer is the last issue until after the winter break. The next issue is Tuesday, Jan. 20. Order your end-of-term transcript now. Place orders in MyMav or through the alternative order form site. Enrollment verification for the winter intersession semester is available online. To print your verification, log on to MyMav, go to Student Center, and click on Request Enrollment Verification to access the National Student Loan Clearinghouse. 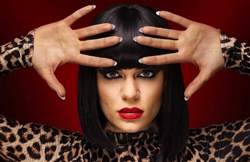 Singer and songwriter Jessie J will headline the Spring Concert at 8 p.m. Tuesday, Feb. 10, at Texas Hall. The artist is recognized for an unconventional musical and performance style, mixing soul vocals with contemporary R&B, pop, electropop, and hip-hop beats. Her hits include Price Tag, Domino, Who You Are, Nobody's Perfect, and her latest release, Bang Bang. Tickets go on sale Wednesday, Jan. 7, at utatickets.com. Women's Basketball Mavericks vs. McMurry. Tickets $3 with student ID. 7 p.m., College Park Center. Also, vs. Georgia Southern, 5 p.m. Tuesday, Dec. 30; vs. South Alabama, 5 p.m. Saturday, Jan. 3. Athletics. Men's Basketball Mavericks vs. Howard Payne. Tickets $3 with student ID. 2 p.m., College Park Center. Also, vs. Georgia Southern, 7:15 p.m. Tuesday, Dec. 30; vs. South Alabama, 7:15 p.m. Saturday, Jan. 3. Athletics. Friends of the Library Tour the Fabrication Laboratory—FabLab—with cutting-edge technology for research in digital and data visualization, including nine 3-D printers, laser cutter, vinyl cutter, 3-D scanners, and digital media software and hardware. Free. 7:30 p.m. Friday, Jan. 9, first floor, Central Library. Friends of the Library. Music Concerts and Recitals Free. Faculty Flute Recital with Terry Sanchez, Friday, Jan. 16; Tessitura Trio, 11:30 a.m. Saturday, Jan. 17; Guest Flute Recital with Christina Jennings, 5 p.m. Saturday, Jan. 17; Faculty Bass Recital with Jack Unzicker, Thursday, Jan. 22; and Guest Violin Recital with Alessandra Jennings Flanagan, Monday, Jan. 26. All 7:30 p.m., Irons Recital Hall, Fine Arts Building. Music. Special Collections: The Price of Manifest Destiny Discover how maps and war interlocked in the 19th century. Hours 9 a.m.-7 p.m. Mondays, 9 a.m.-5 p.m. Tuesdays-Saturdays. Sixth floor, Central Library. Through Feb. 7, 2015. UT Arlington Libraries Special Collections. Planetarium The winter schedule through Dec. 21 features Season of Light; Holiday Music Magic; Back to the Moon for Good; Experience the Aurora; One World, One Sky: Big Bird's Adventure; Pink Floyd; and Spacepark 360 Infinity. Planetarium. Integrating the A380 Jumbo Jet at DFW Airport Two consulting engineers describe changes to DFW Airport facilities that were required to accommodate flights by airlines using the double-decked Airbus A380 jumbo jets, which can hold more than 800 passengers. Light breakfast provided. RSVP. Free. 7-8 a.m., Wednesday, Jan. 7, Room 100, Nedderman Hall. Arlington Technology Association. Sophomore guard Drew Charles hit a go-ahead 3-pointer in the final minute, and the Mavericks finished strong to beat UC Irvine 70-62 Saturday night in Irvine, Calif. The Mavericks improved to 5-4 with their second consecutive win while snapping a three-game road losing streak. Charles and freshman forward Kevin Hervey each scored 15 points. The next home game is 2 p.m. Saturday, Dec. 20, against Howard Payne at College Park Center. The women's basketball team surged in the second half to earn its first road win of the season, defeating Texas A&M-Corpus Christi 42-28 Saturday in nonconference play. The Mavericks (4-3) outscored the Islanders 27-11 in the second half after trailing by two going into the break. Freshman center Rebekah Van Dijk recorded her seventh double-double with 12 points and 12 rebounds. UTA returns home to face McMurry at 7 p.m. Wednesday, Dec. 17, at College Park Center. Nonconference play ends Sunday, Dec. 21, at Metroplex rival North Texas. The men’s and women’s track teams enjoyed strong performances Saturday at the Texas A&M Reveille Invitational, the program’s first-ever appearance at a December indoor meet. Ryan Tilotta and Roland Sales led the men to a second-place finish. Tilotta cruised to victory in the 5000 meters, and Sales won the high jump. The women placed fourth. The Mavericks return to College Station on Saturday, Jan. 17, to kick off the spring indoor season at the Texas A&M Invitational. Sophomore Briana Sharratt was selected to the 14-member All-Southwest Region first team by the American Volleyball Coaches Association. In her second season with the Mavericks, she led the team in blocks with 165 (1.32 per set) and registered a school-record hitting percentage of .414. Sharratt earned Sun Belt First Team All-Conference honors in November. Upcoming entry deadlines for intramural sports include racquetball, Wednesday, Dec. 17; table tennis, Wednesday, Jan. 7; badminton, Tuesday, Jan. 13; and poker, Thursday, Jan. 15.